Flexible hone provides fine surface finish for internal bores, along with edge breaking of undercuts and deburring of intersecting drilled holes. For contract part manufacturers, the ability to produce tight tolerance parts at a faster rate is the key to remaining profitable in a crowded, highly competitive market. To do this, machine shops constantly seek out creative ways to improve on overall cycle time, including speeding metal finishing operations. Although machine shops may have some auxiliary finishing equipment, the primary focus is on the machining. As a result, many shops must send parts out for secondary finishing steps such as thermal deburring, tumbling and burnishing. 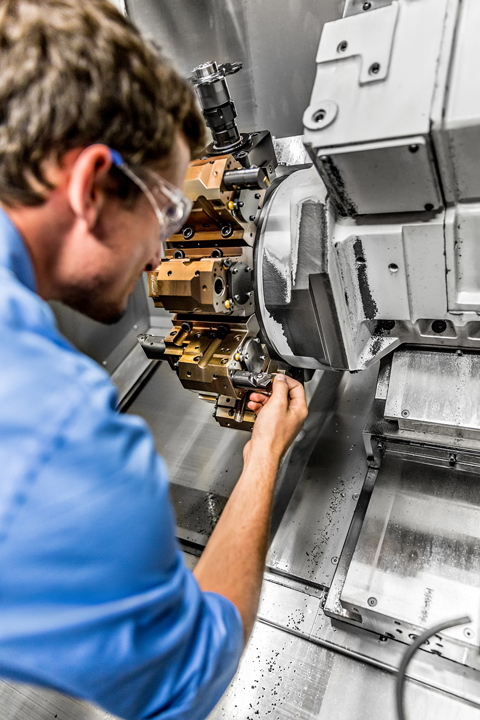 However, for job shops like Wolfram Manufacturing, a company that machines metal parts with complex geometries on 4 and 5-axis machines, sending out parts for secondary finishing not only adds to the cost, but can impact quality and increase the time it takes to deliver the parts to customers. A better alternative for many machine shops, says Urano, is to incorporate machine tools that can complete the finishing tasks within the machining process. “Any time we can incorporate secondary operations right into the machining process, we save time, money, and reduce our work in progress,” adds Urano. In one example, Wolfram Manufacturing was charged with making a unique part for a sliding valve assembly with complex internal geometries that require a high surface finish on the internal bore and the elimination of any sharp edges from drilled holes. Sliding valves, which are movable elements in a system, are used to direct the flow of a working fluid into the proper channel. The assembly is part of a larger product used in pressurized down-hole drilling tool. To operate properly, the valves utilize O-rings that must be seated properly and maintain tight contact with the bore without getting cut by any sharp edges from intersecting holes or undercuts. The Flex-Hone, from Brush Research Manufacturing, is a highly specialized abrasive tool characterized by the small, abrasive globules that are permanently mounted to flexible filaments. Available in many sizes, abrasive types and grits, the tool is used for deburring, edge-blending, cross-hatching, and removing cut, torn or folded metal. “It’s very easy to put the flexible hone in a toolholder, give it a simple toolpath cycle and let it run. With some of the other in-machine deburring tools it can take complex 4-5 axis paths to be effective,” explains Urano. 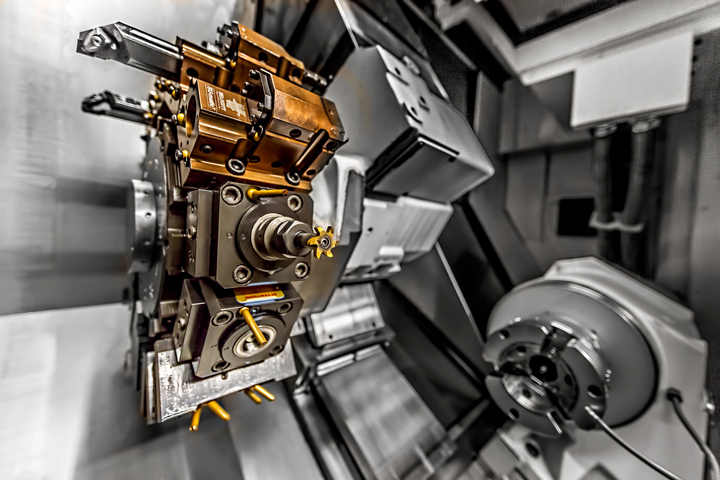 To satisfy the customer’s requirements, Wolfram Manufacturing had to reliably remove burrs and sharp edges in cross-drilled holes and other difficult-to-access areas such as undercuts. A high surface finish is called out on the internal bores where the valve assembly actuates. As part of a multi-step process, Wolfram Manufacturing utilizes a coarse grit Flex-Hone to smooth out any irregularities left during drilling and finishes the bore with a fine grit hone. While FlexHones are often used with automated production equipment, they can also be used for offline deburring. If during post-processing or inspection any damage occurs to the bore finish, Wolfram is able to go back in with the hone and clean it up.